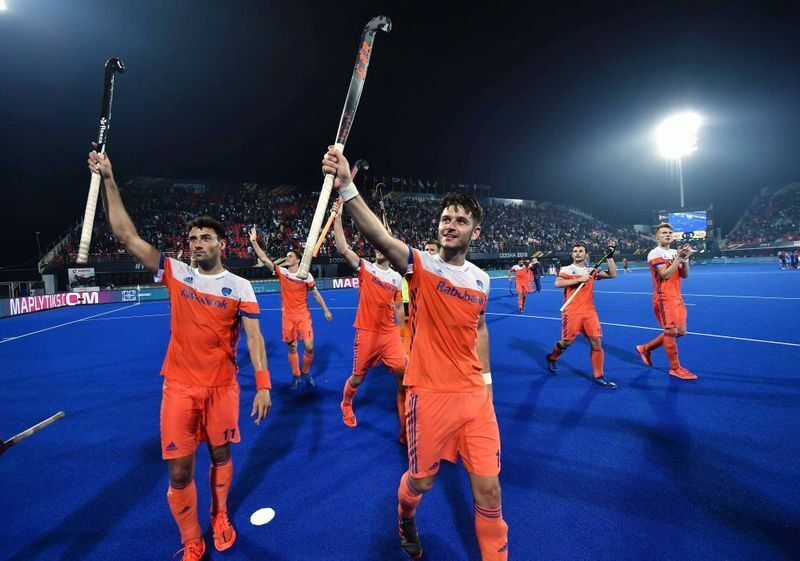 A well-oiled Indian unit had raised the hopes of making the semi-finals for the first time since 1975 but the Dutch side broke a million hearts by coming from behind to knock out the hosts 2-1 in the last-eight clash. Bhubaneswar: India let history slip out of their hands with a heartbreaking quarter-final defeat against the Netherlands in the men's hockey World Cup, a result which left the young players of the team crying on the pitch. Young players such as Dilpreet Singh left the pitch with tears in their eyes. 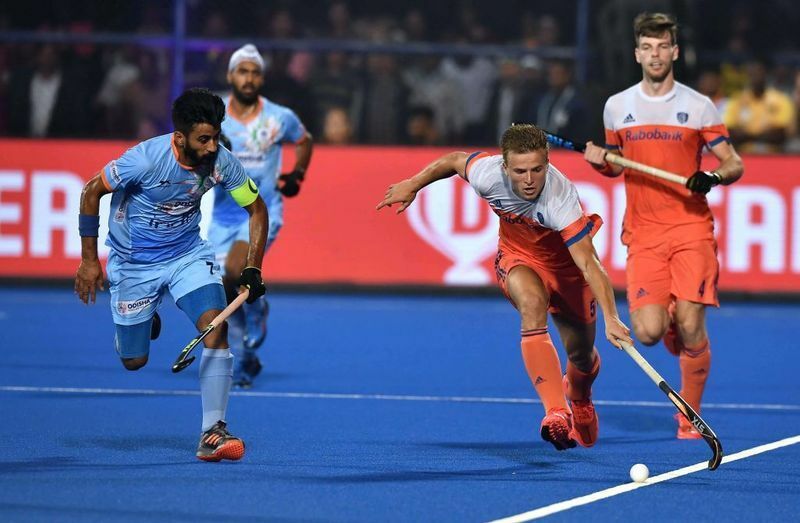 India took the lead in the 12th minute through Akashdeep Singh before Thierry Brinkman drew parity for Netherlands five seconds before the end of the first quarter. After a hard-fought third quarter, Netherlands scored the winner in the 50th minute when Mink van der Weerden converted a penalty corner. The defeat ended India's long cherished dream of lifting the trophy only for the second time after their lone triumph in 1975 at Kuala Lumpur. It was a momentous occasion for India to rewrite history after 43 years as they had never qualified for the semi-finals of the World Cup after 1975. The Netherlands played like true warriors and didn't give an inch to the Indians after the change of ends. The Dutch had the first shot at the goal in the 11th minute but Jeroen Hertzberger reverse hit went just wide of the Indian goal. India's first real scoring opportunity came in the 12th minute when they were awarded a penalty corner and the hosts did not let go the chance as Akashdeep scored from a rebound after Harmanpreet Singh's initial flick was saved by German goalkeeper Pirmin Blaak. Kothajit Singh produced a stellar performance for India at the back as he denied the Dutch on a number of occasions with timely interceptions. But at the stroke of the first quarter, Netherlands drew level when Brinkman got the faintest of deflection to beat Indian custodian PR Sreejesh from a long ball from outside the circle. Five minutes from the first half, India came tantalisingly close from restoring their lead by Nilkanata shot wide from a rebound after Akashdeep's deflection was kept away by Blaak in front of the German goal. Four minutes into the second half, Akshdeep had a golden chance to restore India's lead but his reverse hit from a long ball of Harmanpreet Singh sailed over the Dutch goal. Soon Netherlands secured two back-to-back penalty corners but the Indians defended stoutly to thwart the danger. In the 48th minute, Simranjeet Singh's fine stick work in the right flank went in vain as Akashdeep failed to reach his pass with only the Dutch goalie to beat. The Dutch came out with a plan in the fourth quarter and didn't give India any leeway into their citadel. The Indians found it difficult to build up attacks as the Dutch concentrated on tight men marking. 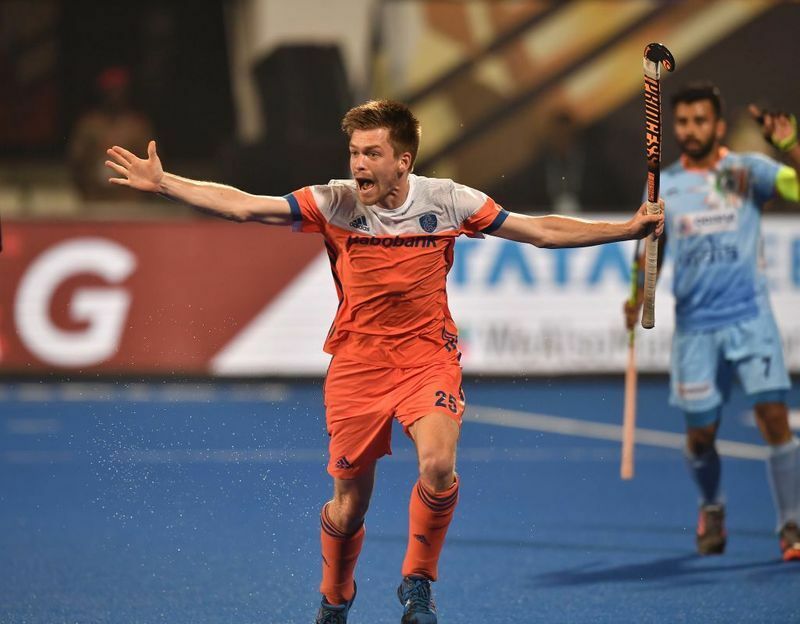 Ten minutes from the final hooter Netherlands secured their fourth penalty corner and Van der Weerden found the back of the net past Indian goalkeeper PR Sreejesh, who had an ordinary tournament as per his standard. Desperate for the equaliser, the Indians threw up numbers upfront and it bore fruit when Chinglensana Singh earned their second penalty corner but Dutch goalkeeper Blaak made double save to deny Harmanpreet. In search of a match-saving goal, India withdraw goalkeeper Sreejesh for an extra player but the move didn't pay any dividend. Two minutes from time, Netherlands secured another penalty corner but the Indian defence, without a goalkeeper, did well to keep Netherlands at bay. The hosts failed to get the equaliser as the packed stadium backed the “Men in Blue” till the very last second only to return home disappointed. Netherlands will take on two-time defending champions Australia while Belgium will take on England on Saturday.